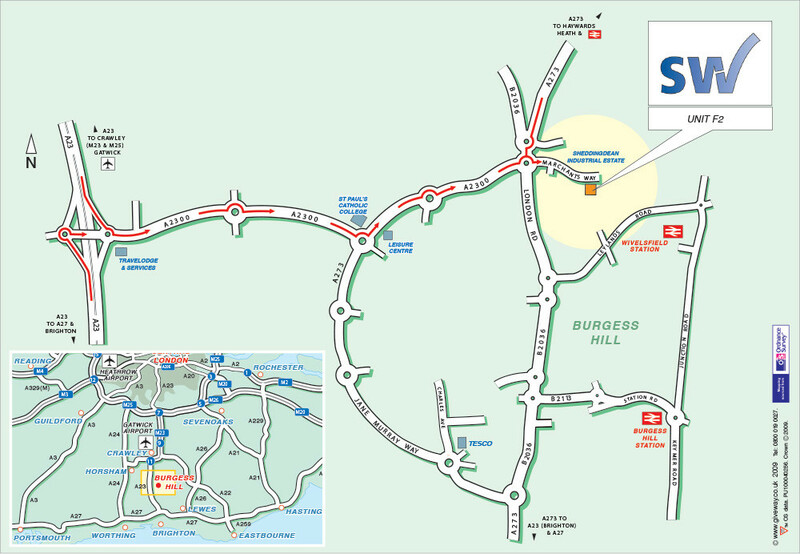 The training centre is in Burgess Hill, which is located between Gatwick and Brighton just off the A23. The nearest train station is Wivelsfield, not Burgess Hill, which is a much longer walk. There is a taxi rank at Burgess Hill station.